We look at Domino’s Pizza. They are a great example of a successful online ordering businesses. The complete directly against Menulog / Just Eat / Delivery Hero and Grubhub. They put a lot of work into their online ordering solution, because they need to differentiate themselves from other online ordering solutions. We look at the prices between two orders, one for take out and one for delivery. Domino’s have no minimum order value. We look at Domino’s delivery fees and analyse the delivery fee. They have marked up their food by 48% for the convenience of having it delivered. This is a massive charge and something that a lot of people don’t really want to deliver the pizza. They are driving people to pick up the pizza. Why is this? Domino’s is set up for high volume pizza creation. The bottleneck is now the synchronisation of pizza cooking with delivery, which is expensive, so they drive people to pick up. The Free Restaurant OnLine Ordering system (FROLO) now feeds into our Free Restaurant CRM system. We talk about the importance of using your email database to turn new customers into repeat customers. This is the simplest way to increase repeat customer orders. We look at how the numbers stack up to increase your revenue by $144,000 a year with a simple monthly program shaping customers to buy from you at least monthly. Many customers with online ordering will spend $5,00 or $10,000 with their favourite restaurant, but most restaurants aren’t able to identify who their regular customers are. We talk about the kind of offerings and emails that you can send to drive demand and we also look yield utilisation. How can you move demand from Saturday through to Wednesday when the kitchen is quieter. We also talk about some of the Facebook campaigns that you can run. We have some customers who are running very effective Facebook campaigns to drive online order revenue. Even better, those using FROLO can directly see the number of orders that have come in from a Facebook campaign, which means that you can scale your marketing because you know that it is working. We look at the number of customers who still like to make a call to place their order. 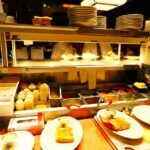 Restaurant aggregators like Grubhub and Just Eat don’t publish phone numbers because they don’t get to charge commission for orders placed over the phone. We are still seeing a lot of orders being done over the phone, so including the phone number can make a big difference in the success of the campaign. We look at the increase in orders that you can see by offering your own loyalty campaign for online orders. This is a highly effective way of increasing your customers orders. Some of your take out customers could be worth more than $4,000 a year, so it is really important that you work as hard as possible to not only find those new customers, but to turn them into repeat customers. 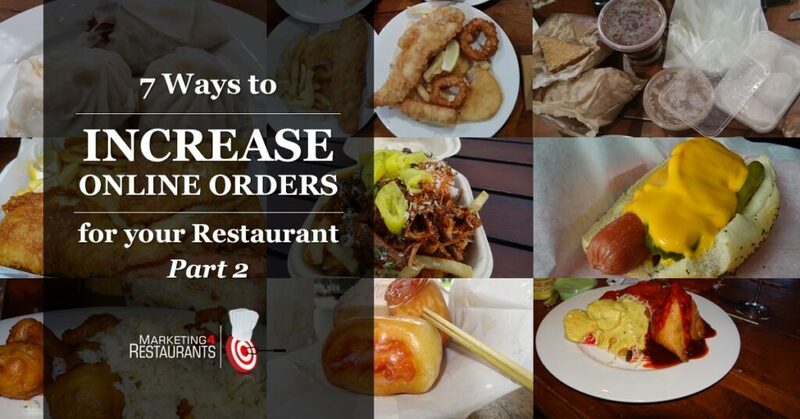 If you are looking for ways to increase order frequency and value, take payments online and get paid in three days and to build your email database, not someone else’s, check out the Free Restaurant OnLine Ordering system.